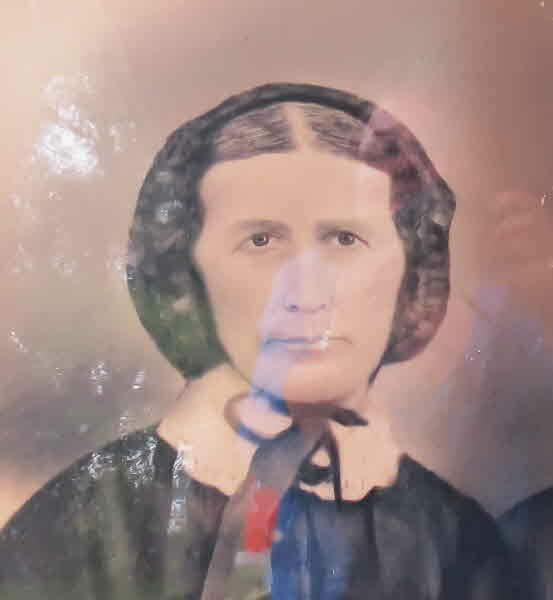 Marriage* Philip Shier married Jane (Jennie) McLaren on 25 September 1879 in Fenlon Twp., Cambray, Victoria County, Ontario, Canada. 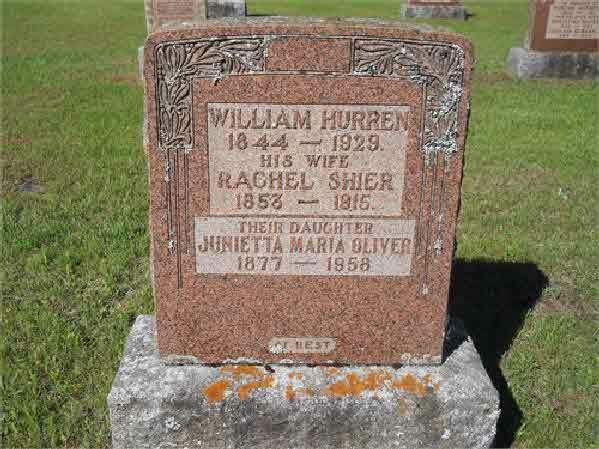 Burial* He was buried in Carnduff Cemetery, Saskatchewan, Canada. 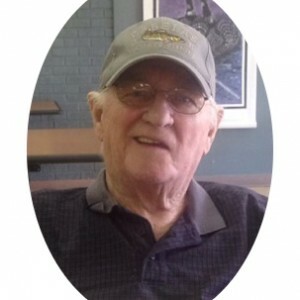 [S22] Unknown compiler address, Saskatchewan Vital Statistics, unknown repository, unknown repository address, Death Registration for Philip Shier #2472. 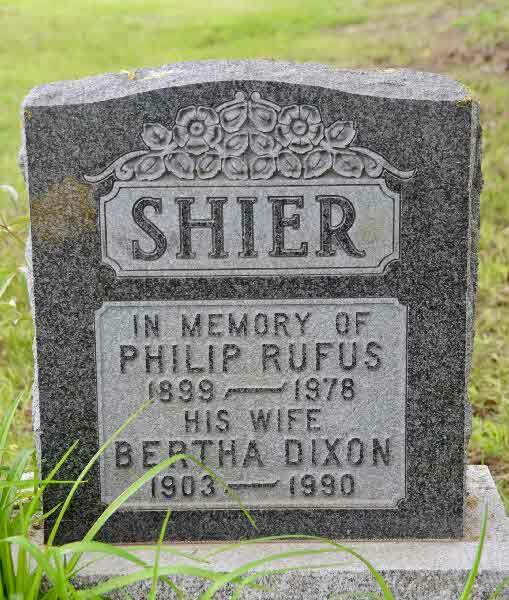 Death* Phillip RUFUS Shier died on 13 September 1978 in Buried in Hart's Cemetery, Wilfrid, Ontario County, Ontario, Canada, at age 79. 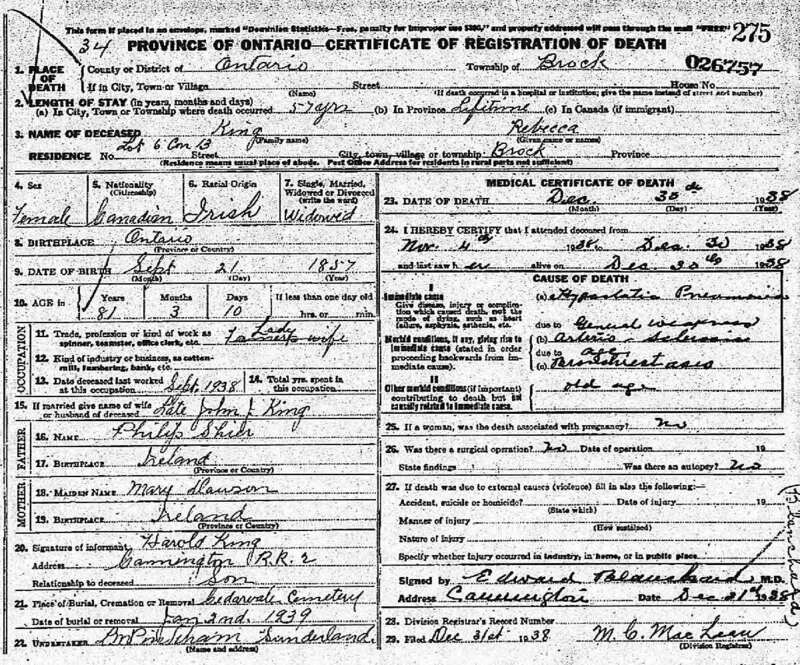 [S22] Unknown compiler address, Saskatchewan Vital Statistics, unknown repository, unknown repository address, Birth Registration for Philip Rufus Shier #1640. 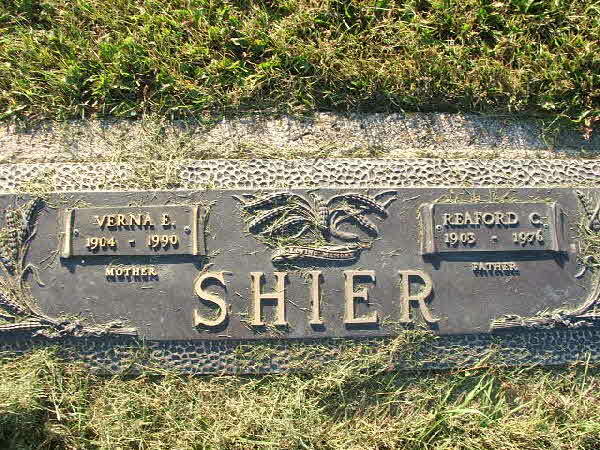 Birth* Phoebe Shier was born on 5 April 1911 in Brock Twp., Vroomanton, Ontario County, Ontario, Canada. 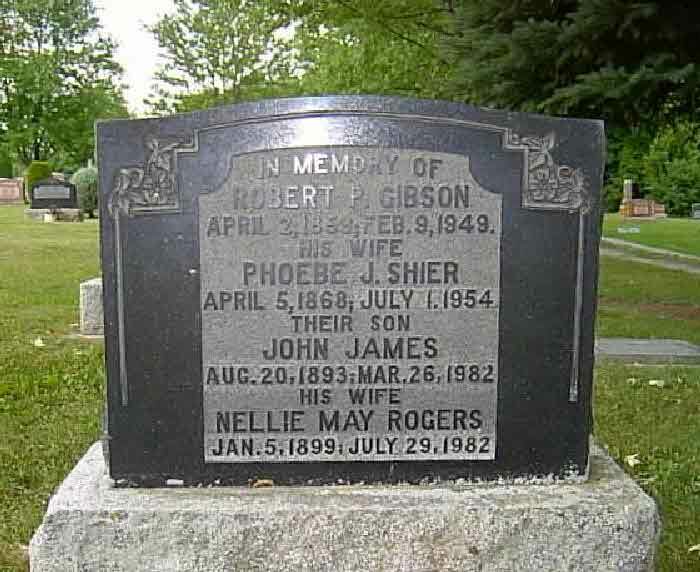 Death* Phoebe Shier died on 10 April 1911 in Brock Twp, Vroomanton, Ontario County, Ontario, Canada. Fact 1* Daniel King and Rachel Shier. 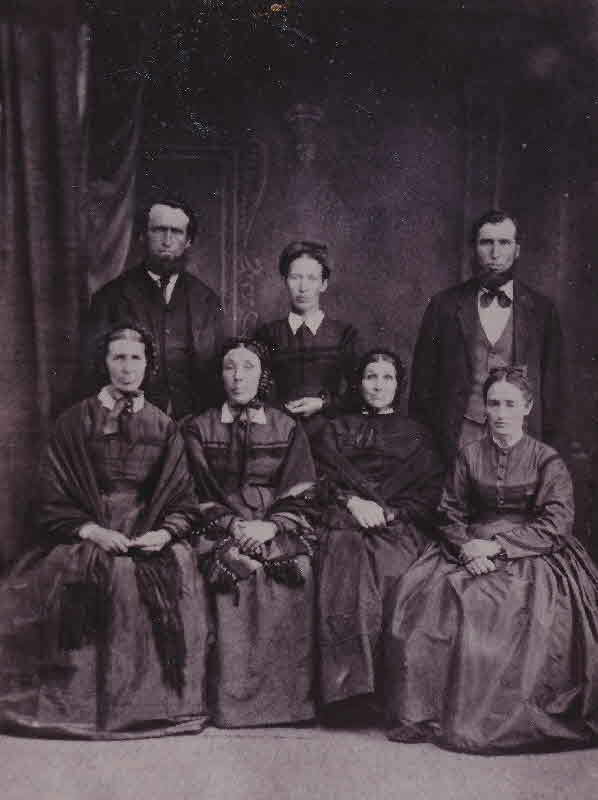 (Witness) Fact 1 Rachael Shier witnessed the Fact 1 of Philip Shier; Photo of 7 of Jacob Shier's and Anne Sparling's Family. 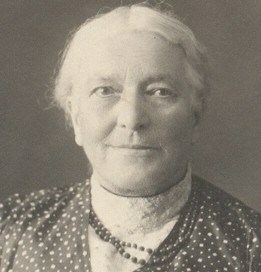 At the age of sixty-nine Mrs. H. N. McKinnon, one of the pioneers of Sheridan township, passed away at the home of her daughter, Mrs. A. P. Bulman. in this city Saturday. The funeral occured from the Baptist church Tuesday under the ministration of Rev. 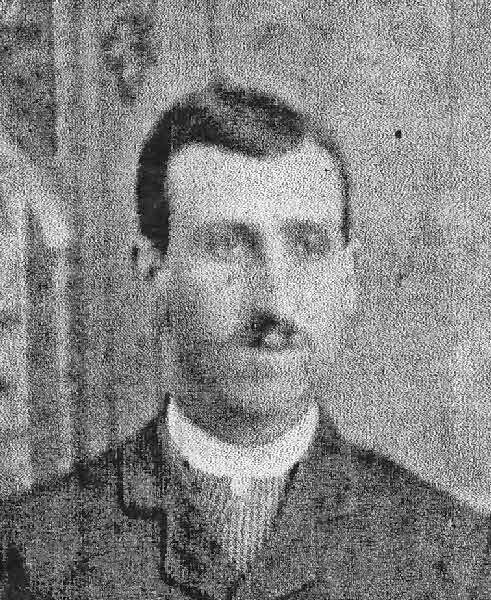 J. H. Lowe. Interment in Cherry Grove. 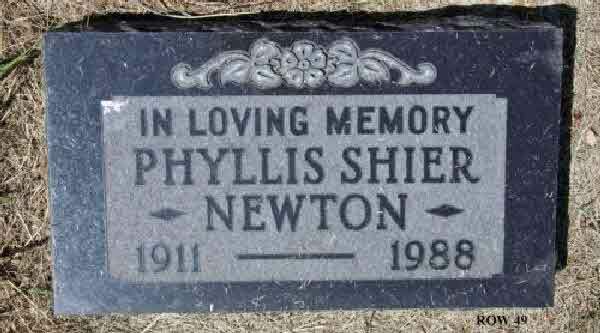 Burial* She was buried in Cherry Grove Cemetery, Clare County, Michigan, United States. 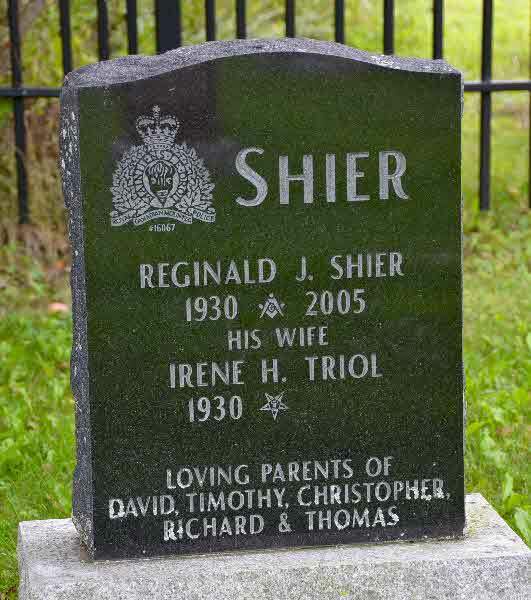 Burial* She was buried in Bolsover Cemetery, Victoria County, Ontario, Canada. 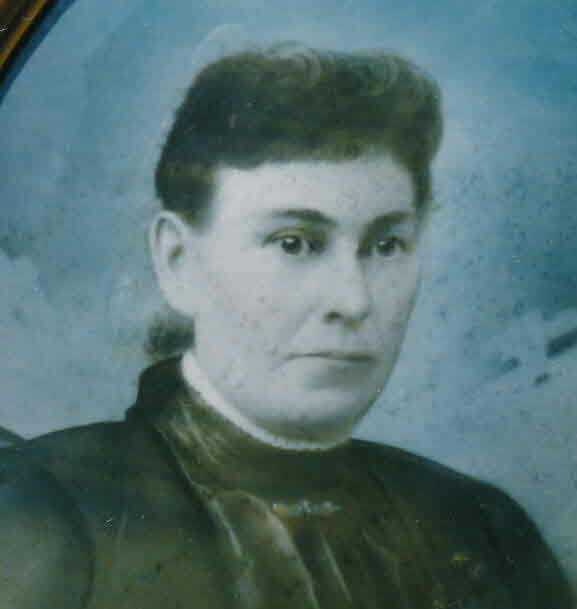 [S71] Familysearch.org, online \, Birth Registration for Rachel Shire, d/o Nicholas Shire and Ann. 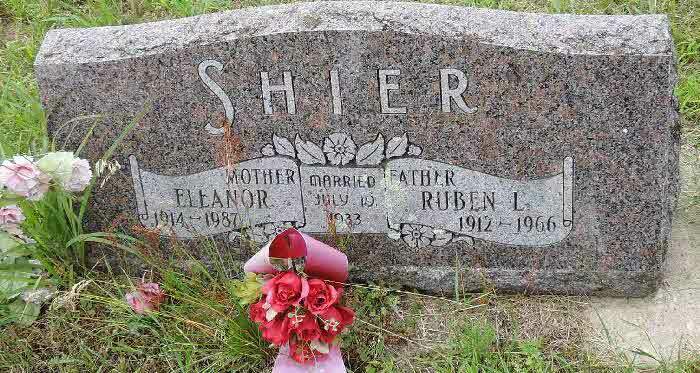 Burial* Rachaele Shier was buried in Sparling Cemetery, Rannoch, Perth County, Ontario, Canada. 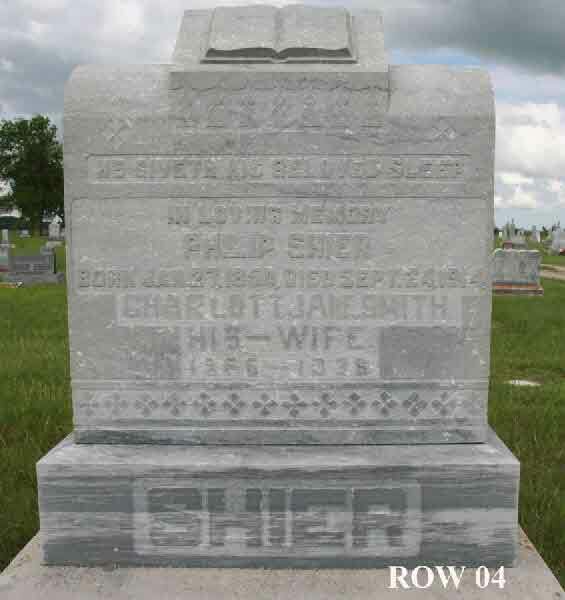 [S40] Saskatchewan Cemetery Project, online \, switzergenealogy.com. 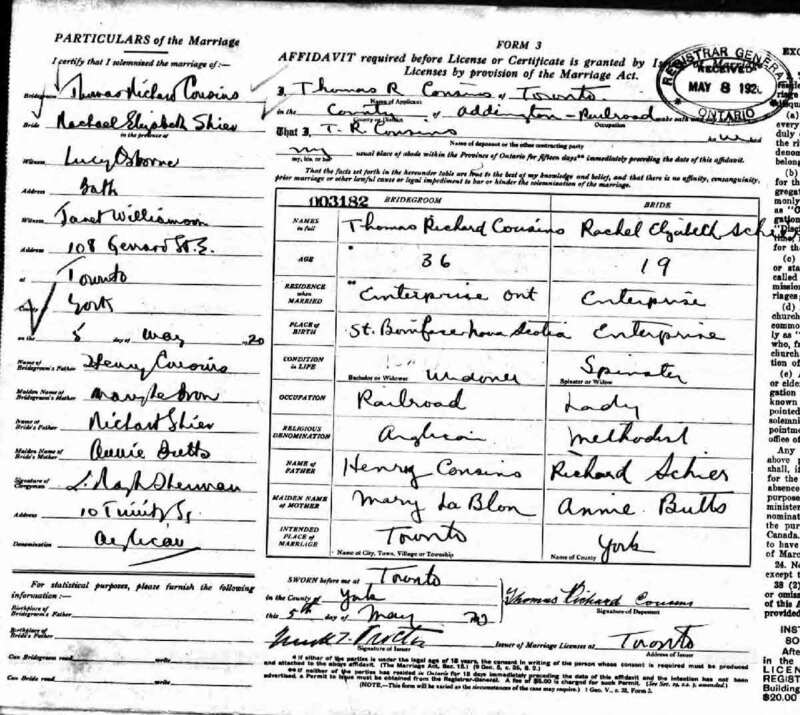 [S124] IrishGenealogy.ie; Civil Records, online \, Marriage of Rachel Shier and George Miller. 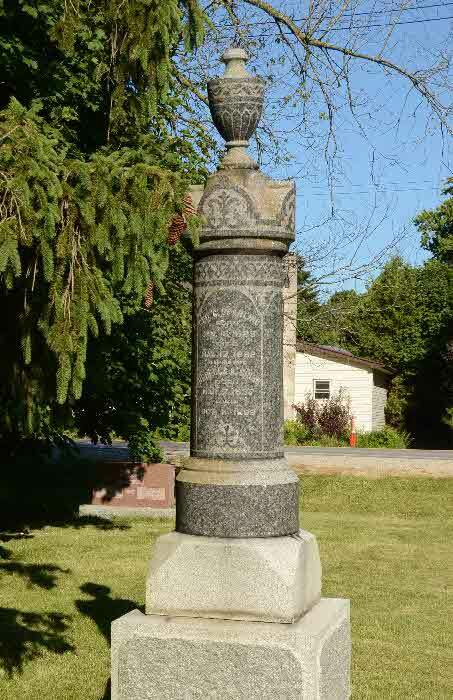 Burial* She was buried in Woodland Cemetery, Southgate, Grey County, Ontario, Canada. 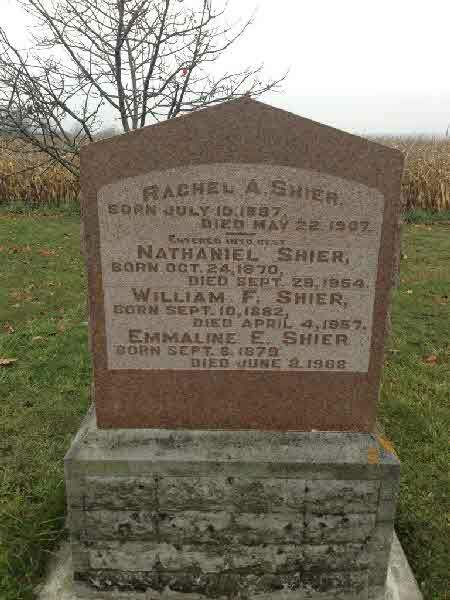 Birth* Rachel Elizabeth Shier was born on 16 February 1901 in Lennox and Addington County, Ontario, Canada. 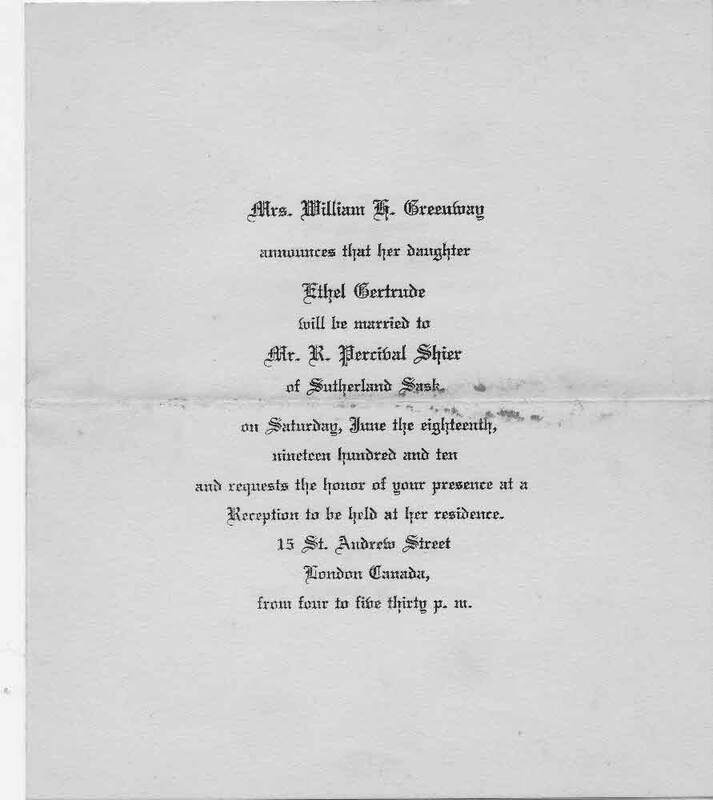 Marriage* Rachel Elizabeth Shier married Thomas Richard Cousins, son of Henry Cousins and Mary Le Bron, on 5 May 1920. 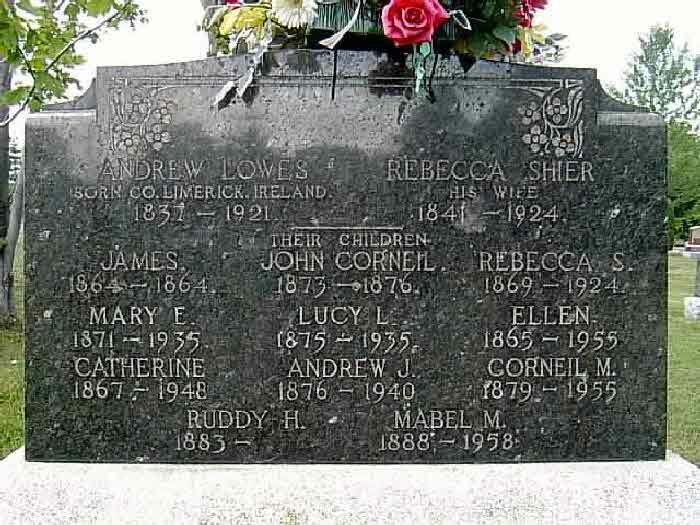 Death* He died on 14 January 1937 in Sault Ste Marie, District of Algoma, Ontario, Canada, at age 29. 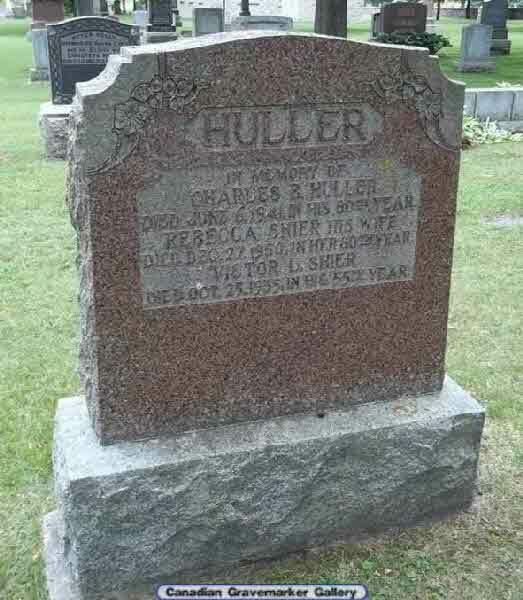 Burial* He was buried in Hillcrest Memorial Gardens Cemetery, Saskatoon, Saskatchewan, Canada. 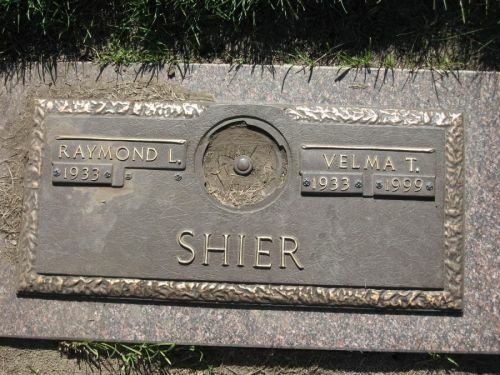 (Witness) Fact 1 He witnessed the Fact 1 of Richard John Wesley Shier; Photo of Richard John Wesley Shier and his 5 sons beside the grave of his wife, Sarah Ann McLaughlin, in the Semans, Saskatachewan Cemetery. 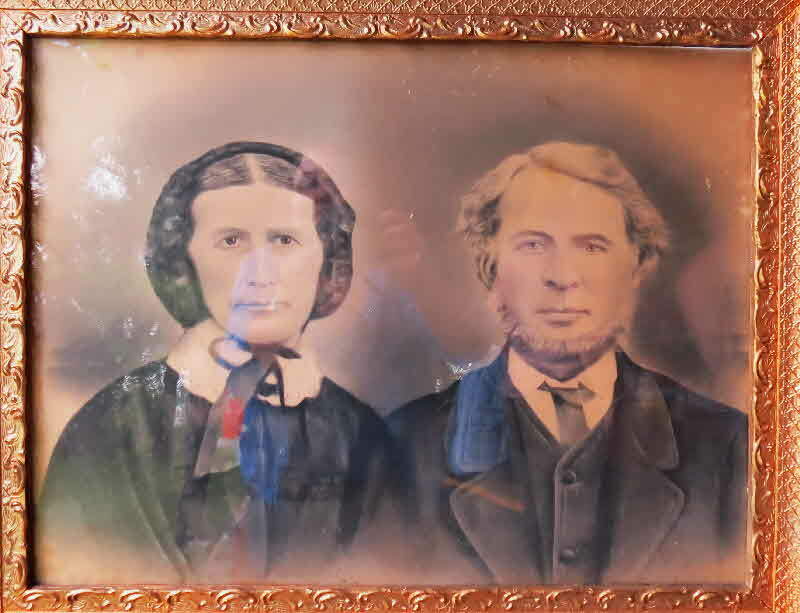 Marriage* Rebecca Shier married William Henry Shier, son of George Shier and Jane Norton, on 10 January 1877 in Brock Twp., Ontario County, Ontario, Canada. 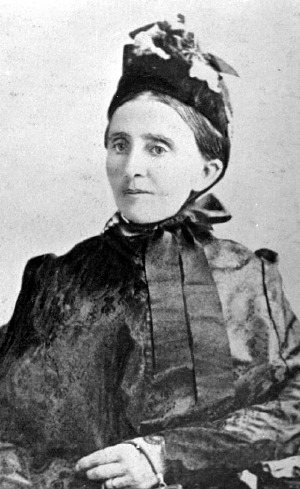 Marriage* Rebecca Shier married Charles Burton Huller on 1 July 1890 in Lindsay, Victoria County, Ontario, Canada. 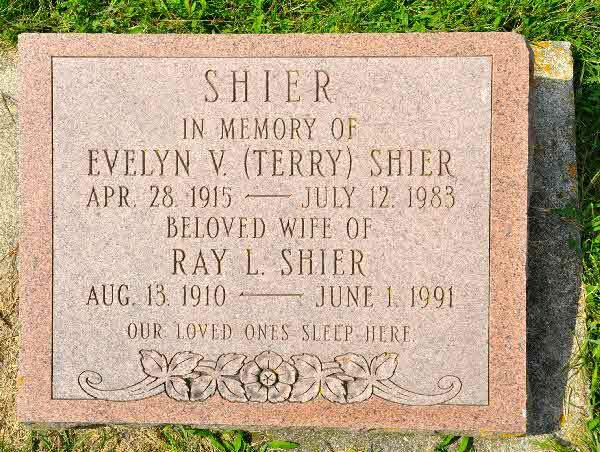 Burial* She was buried in Old Stone Church Cemetery, Thorah Twp., Ontario County, Ontario, Canada. 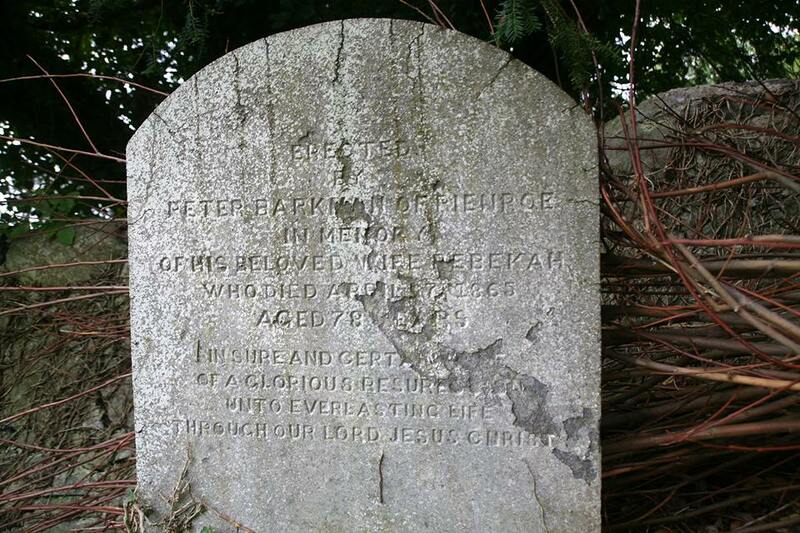 Burial* She was buried in St. Nicholas Church Cemetery, Adare, County Limerick, Munster, Ireland. 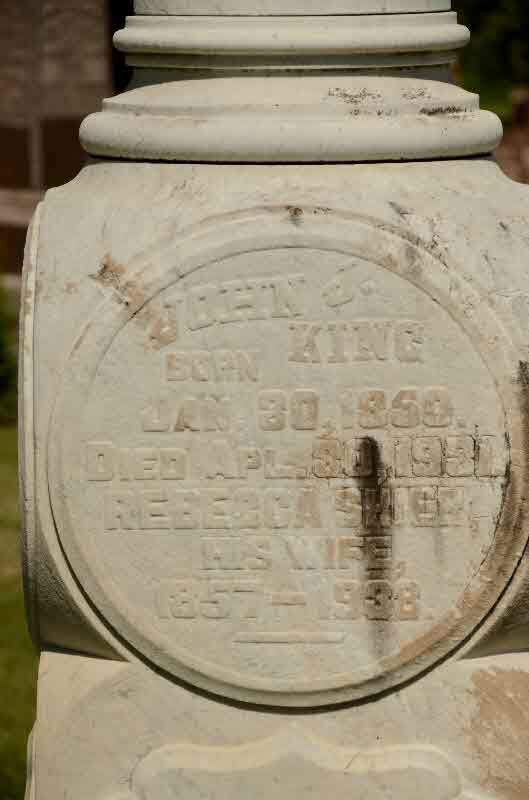 Marriage* Rebecca Shier married John Joseph King, son of Daniel King and Rachael Shier, on 27 December 1881 in Brock Twp., Ontario County, Ontario, Canada. 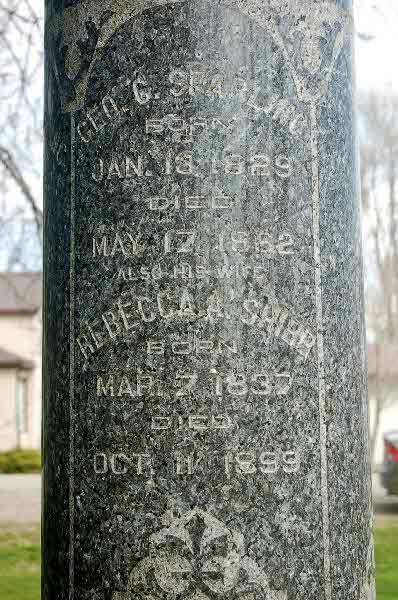 Death* Rebecca Shier died on 30 December 1938 in Brock Twp., Ontario County, Ontario, Canada, at age 81. 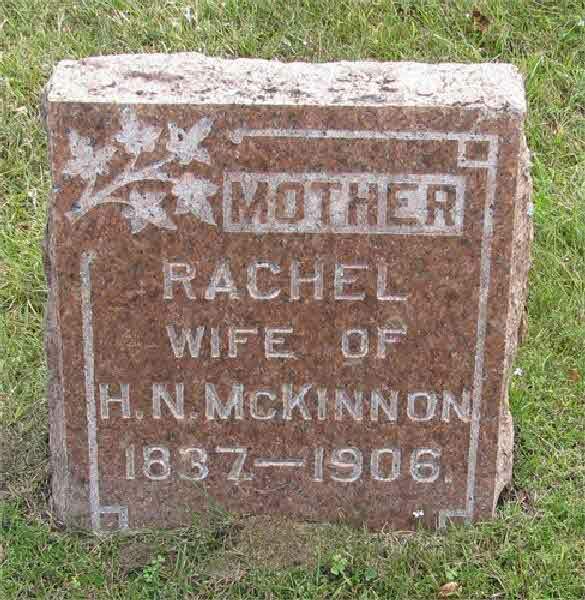 Burial* She was buried on 2 January 1939 in Cedar Vale Cemetery, Brock Twp., Cannington, Ontario County, Ontario, Canada. 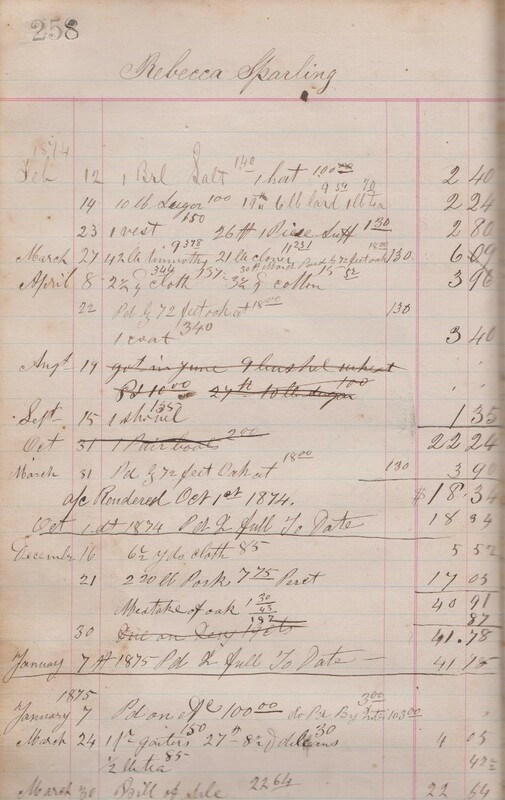 Fact 1* Rebecca Sparling's ledger at the store owned by her brother, Jonathan Shier. 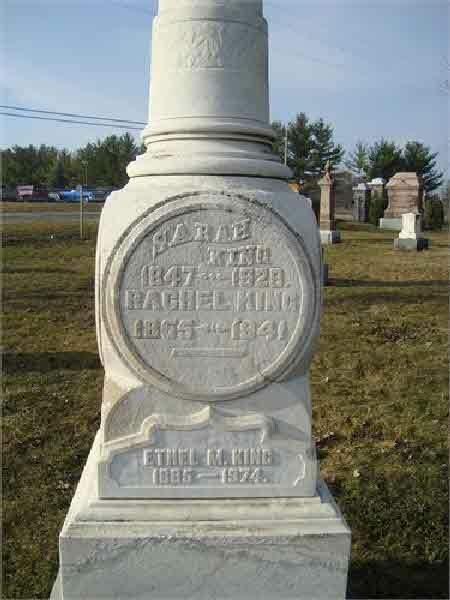 Burial* She was buried in Methodist (Old) Cemetery, Usborne Twp., Kirkton, Huron County, Ontario, Canada. 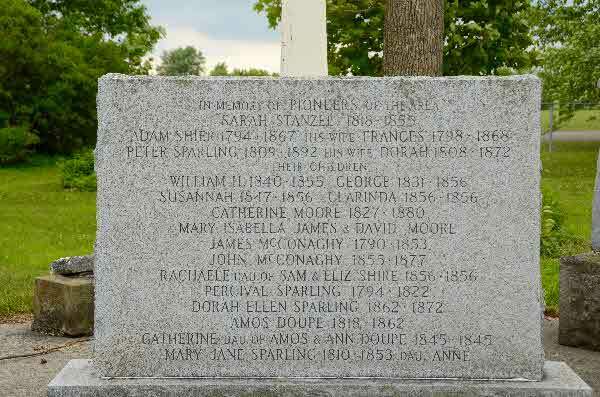 Burial* He was buried in Christ Church Cemetery, Sheffield Twp., Tamworth, Lennox and Addington County, Ontario, Canada. 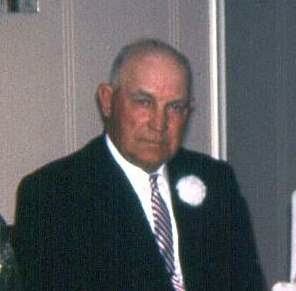 Birth* Reginald Patrick Shier was born on 11 August 1915 in Ballingrane, County Limerick, Munster, Ireland. 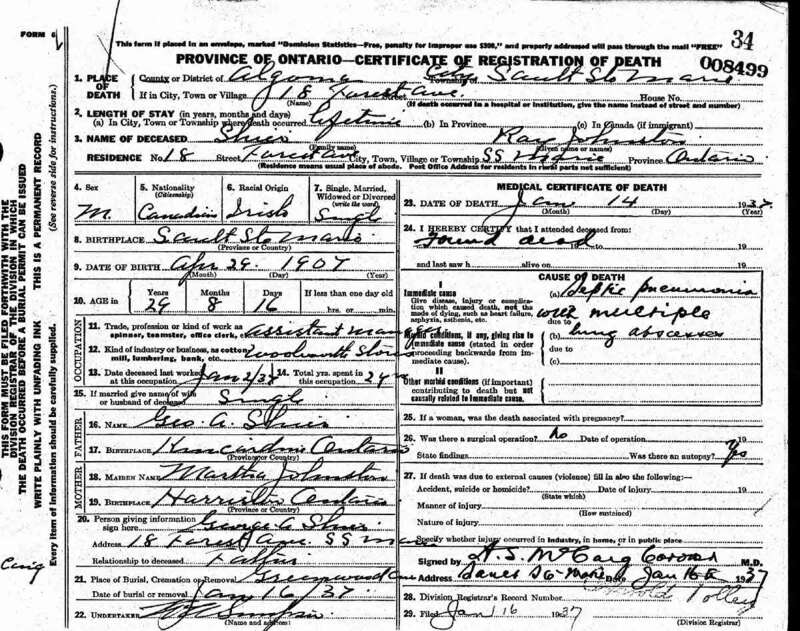 [S72] Manitoba Death Index, 1881 - 1943, online \. 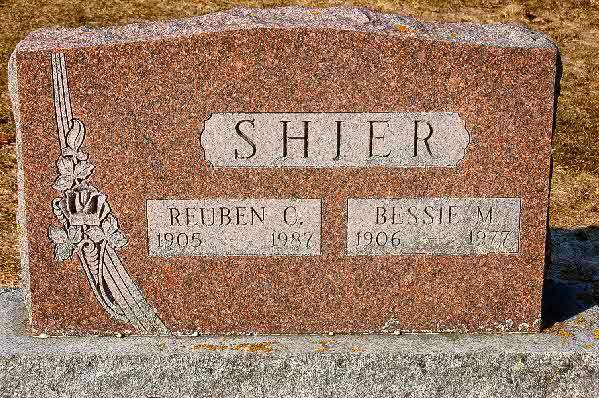 Burial* He was buried in 1967 in Oak Hill Cemetery (Nott Cemetery), Marquette County, Wisconsin, United States. 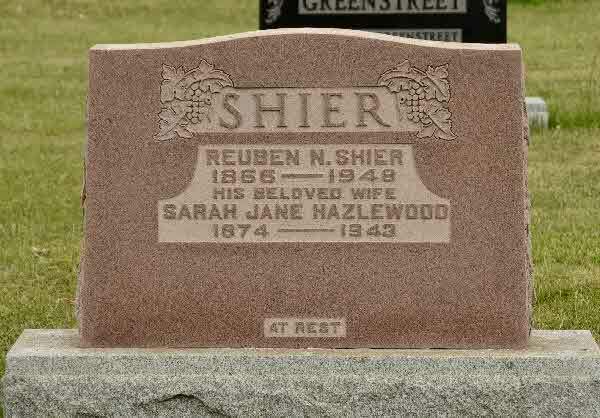 (Witness) Fact 1 Reuben Nicholas Shier witnessed the Fact 1 of Adam Shier; Family of Adam Shier and Charlotte Switzer. 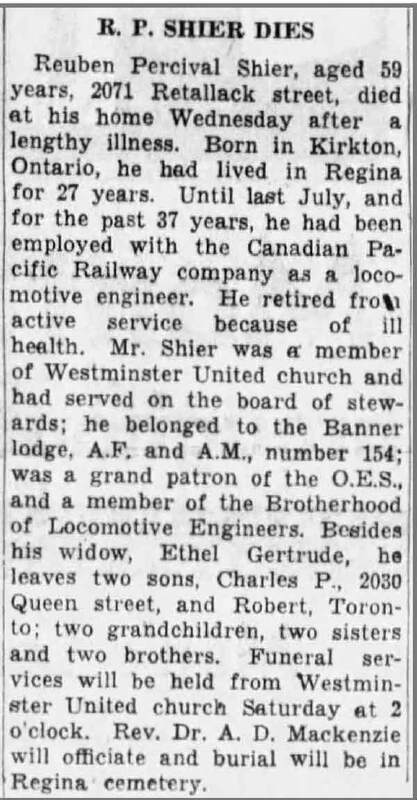 Marriage* Reuben PERCIVAL Shier married Ethel Gertrude Greenway, daughter of William Greenway, on 29 July 1910 in London, Middlesex County, Ontario, Canada. 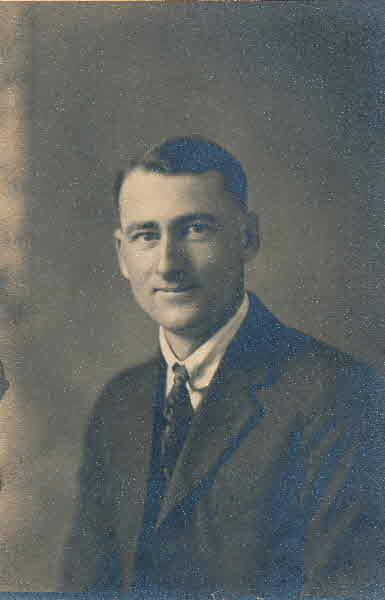 Death* He died on 13 November 1940 in Regina, Saskatchewan, Canada, at age 59.